Laurie Bellesheim, a published poet, belongs to several writers’ organizations including Writer’s Digest, Authors Den and Writing.com. 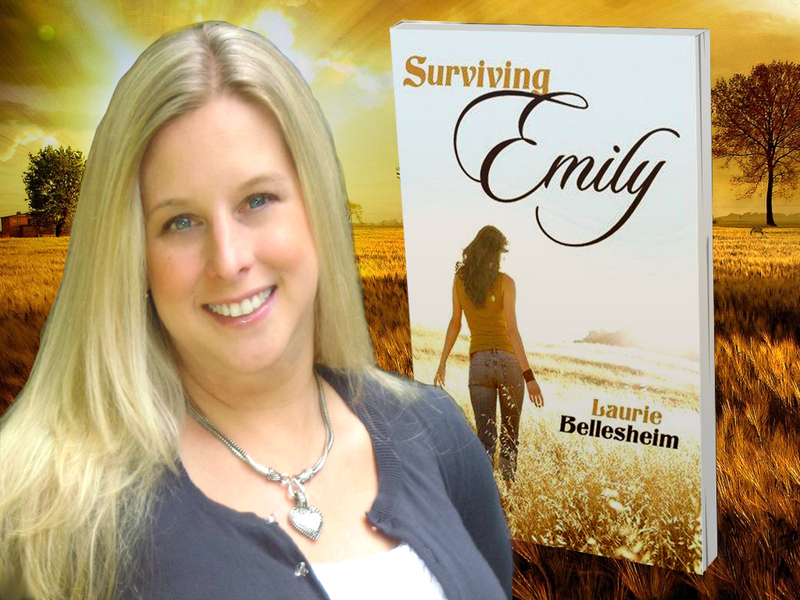 Bellesheim was inspired to write Surviving Emily because she lost a close friend to Sudden Unexplained Death in Epilepsy when she was 18. Before writing Surviving Emily, her first novel, Bellesheim was a social worker for six years, including working with the Department of Children and Families. She graduated from Southern Connecticut State University with a bachelor’s degree in social work. She lives in Connecticut with her husband and three children. You can find Laurie at http://www.survivingemily.com/. For as long as I can remember back, I’ve always loved to write. Even as a kid, I wrote short stories about my pets or my friends. I remember reading books by Judy Bloom and wishing I could write like that. Never in my wildest dreams did I think, as an adult, I’d author my own novel. But this dream come true is twofold. When I was 18 I lost a very close friend to Sudden Unexplained Death in Epilepsy (SUDEP). At the time this happened, SUDEP was unheard of and rarely recognized in the medical communities. Only in recent years has it caught more attention and is being talked about more and more. 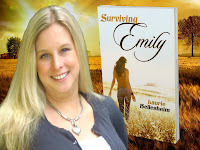 When I lost my friend, I wanted to do something to honor her memory and my novel, Surviving Emily does just that. Surviving Emily is also about helping to raise awareness about epilepsy and the deadly condition of SUDEP. To see my novel now published and available to others, is bigger and larger than I had ever dreamt! Abigail Hooper and Stephen Sparks had never heard of Sudden Unexplained Death in Epilepsy until one fatal morning in November when it crushed their hopes and dreams. Twelve years after the devastating loss of their dearest friend Emily, they find themselves still affected by the trauma. Abigail, married and newly pregnant, helps others through her work for the Department of Children and Families. When a new client with epilepsy unexpectedly forces her to re-examine the past, Abigail realizes she’s the one who needs saving. Stephen has struggled emotionally, physically and spiritually after losing the love of his life, and the long-term effects of his grief have kept him from truly living and finding love again. As the two search for redemption and the power to heal, their paths cross once again. Emily’s presence so long ago still has meaning in their own lives, teaching them the meaning of true friendship and what’s really important. Drawing on her own experience with a close friend with epilepsy who died, author Laurie Bellesheim raises awareness about the disease in this compelling tale told partially through flashbacks. So, I’ve given up on the whole “not reading books that make me cry” thing. Still not my preference, but I’m just reading too wide a variety of books for that to happen. I was braced for crying going into this book, but I don’t think I did. I have no idea why, except that possibly it’s because I didn’t get to know Emily until after she died. Laurie tells us Abigail’s and Stephen’s stories mostly in the present, with enough memories and flashbacks to have the full backstory. This is a beautifully-written story with an unpredictable ending. I had a little “hmph” moment at the end because everything wasn’t wrapped up nicely in a pretty bow. But that’s a personal thing. That’s why I usually read fluffy romance novels: no crying and a pretty, happy ending. Life isn’t like that, though, and some of the best books reflect that. Rating: 4.5 stars – Great book, but will probably appeal more to women, because it’s an emotional book. Anyone who has or knows someone with epilepsy should consider reading it, too.